Includes deep pore cleansing, pore extraction, and exfoliation. 1 hour. Designed to cleanse, moisturize, and refresh the skin leaving it radiant and fresh. (30 min). Enhances skin elasticity and promotes collagen reproduction. 1 hour. Restores a youthful appearance and diminishes signs of aging by smoothing fine lines and strengthening skin’s elasticity. 1 hour. Regains elasticity and relieves dark circles around the eyes. Designed to cleanse, moisturize and refresh the skin leaving it radiant and fresh. 30 min. Reduce fine lines, wrinkles, and age spots for a more youthful appearance. 30 min. Includes deep pore cleansing and exfoliation using microdermabrasion diamond crystals to diminish fine lines, wrinkles, and age spots. Glo Mineral Make-up. Falsies applied for an additional $10. 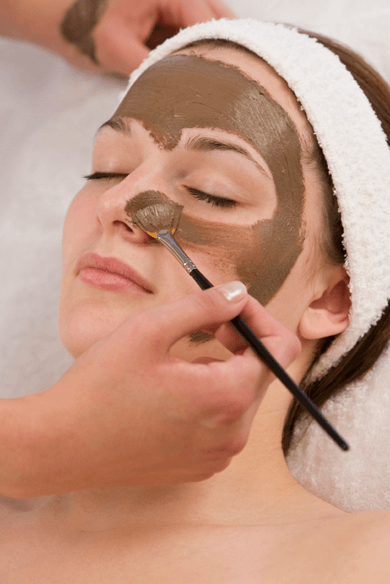 Our skin care offers specific skin care services to help you put your best face forward. Our professional estheticians are trained in how to improve the condition of your skin with relaxing spa facials, skin renewing facial peels and microdermabrasion. Studio G skin care specialists will analyze your skin and help to recommend the best treatments and professional products to target your specific skin care needs giving you the best results. Studio G Salon and Day Spa, a place where tranquility reigns and your health, beauty and comfort are our only concern.